Recent research by Nationwide Building Society has found that extending your home could increase the value of your property a whopping 22%. 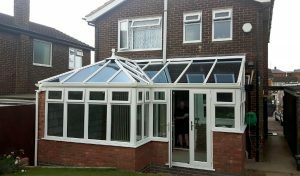 Premier Windows is highlighting the opportunity to homeowners to maximize their return on investment even further by choosing a contemporary glazed extension. For more information about our high security windows and doors, please email enquiries@premwindowsanddoors.co.uk or call a member of our team on 0800 854 353.